Astonishing that a tiny place like Permatang Pauh has become the battlefield that will decide the destiny of the entire nation. One is reminded of the Battle of Kurukshetra that constitutes a large part of the Mahabharata narrative - where generations of accumulated karma are resolved over the span of 18 days. 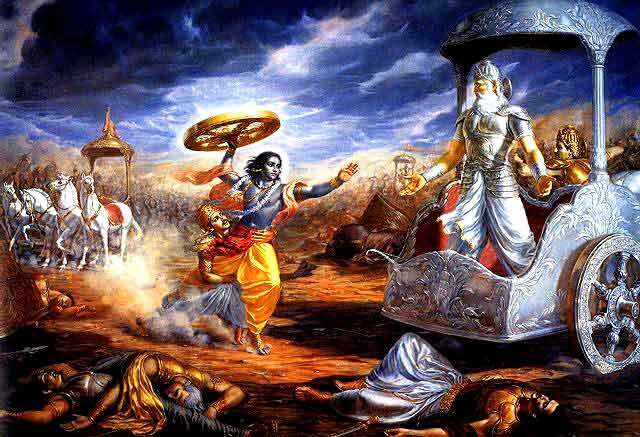 In the Bhagavad Gita, Pandava Arjuna is troubled on the eve of the Battle of Kurukshetra by the moral dilemma of having to slaughter his own relatives. 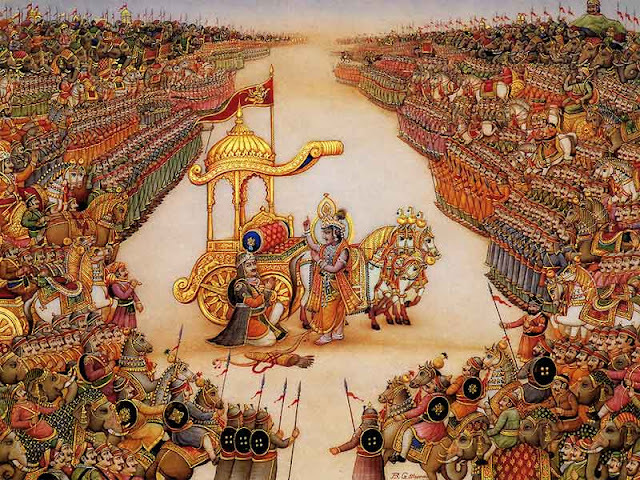 Lord Krishna, disguised as Arjuna’s charioteer, explains the karmic and cosmic ramifications of physical warfare, and reveals to Arjuna his divine form, thereby reassuring the warrior king that his actions are just and integral to clearing the way for the ongoing evolution of human consciousness. These are some of the mythic resonances surrounding this pivotal by-election, and I just wanted to provide a larger metaphorical context for the battle royale that began on 31 July 2008, with Wan Azizah resigning her parliamentary seat to make way for her husband, Anwar Ibrahim - and culminating on August 26th, 2008, when the voters of Permatang Pauh shall decide the fate of the nation. I feel a profound gladness that so many good, decent human beings are out there right now - honest Malaysians like Anil Netto, Lucia Lai, Susan Loone, Haris Ibrahim, Isham Rais, Bernard Khoo (Zorro), even Raja Petra (the one-man demolition squad behind Malaysia Today) - camped out in Permatang Pauh to offer support and report on this watershed political event. Thank you and bless you all for contributing so much to a glorious outcome for the forces of necessary change. Great and apt post Antares! 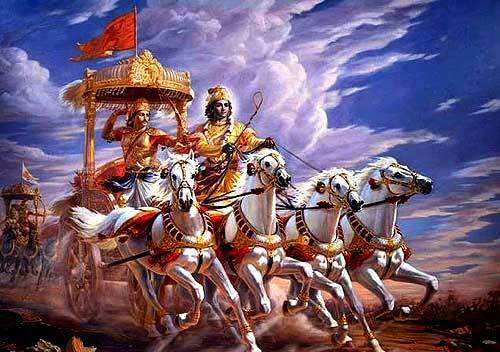 The allegorical Battle of Kurukshetra is an internal battle spearheaded by the human conscience (believed to represent the silent still voice of the soul/God as represented by Lord Krishna) to fight for Good against Evil in the human heart and mind (represented by the good human/ Arjuna). It is not a concrete account of an external militaristic battle where physical human life is taken. The dharmic Battle of Kurukshetra balances the Universal Law on the sanctity of Life - which states that only Almighty God can give and take Life - with the sacred duty of humans to fight Evil, wherever it manifests, and even if it means one has to take the hard and heart-wrenching decision to fight against one's own beloved family members in order to defeat the evil they perpetrate or help to perpetrate. The battle at Permatang Pauh and the war to defeat the UMNO-led BN government is indeed a metaphorical Battle of Kurukshetra for all anak-anak Bangsa Malaysia! I marvel at your width of knowledge of other cultures and religion. Anonymous is not right. Kurushetra was writen to appeal both to the philosophical as well as the physical war that took place in India in ancient times. At the physical level, it was a battle between the righteous and the forces of evil albeit a war between two factions who were related by blood. 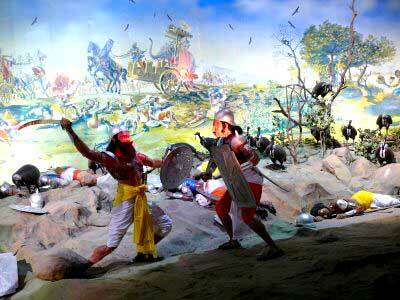 At the end of the Mahabharatha, one side is wiped out completely while few remain of the victors. At the philosophical level, the Avatar Krishna teaches mankind that while war is abhorrent, if there is no way left after exhausting all other alternatives, than one must take up arms to fulfil one's duty -Dharma-to combat and overcome evil, even at the risk of losing one's own life. Thus, much can be learnt from the Bhagavad Gita & Mahabharatha (great war) aswell as other epics such as The Iliad & The Odyssey.